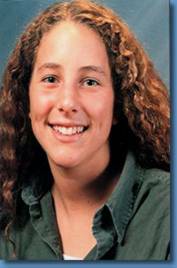 Stacey Levitt was born May 19, 1977 at Toronto's Mount Sinai Hospital. She attended Allenby Public School, Glenview Senior Public School, and Northern Secondary School. Stacey had a wide variety of interests and lived a busy and active life while growing up in North Toronto with her family - her parents Ned and Cheryl, her sisters Marni and Jacqueline, her dog Peaches - and many very special and close friends.